There was a general decline of Satan in the wake of the eighteenth century Enlightenment and modernism (a decline in him being perceived as a real and imminent danger, that is). Nonetheless, he still remained alive and well within certain types of Christianity, particularly within the more conservative forms which do account for a large percentage of modern Christianity. Certainly not all of these conservative Christians subscribed to conspiratorial theories regarding Satan’s dastardly plans to undermine God’s activity. Yet there were — from the 1970s-1990s — a number of somewhat widespread notions of Satan’s evil machinations that are best described as conspiracy theories, two of which I will touch on here. 1) There were general fears within some Christian circles regarding the many New Religious Movements (NRMs) — “cults” from this perspective — which were perceived as deceiving and brainwashing their potential members into joining. One of the results was a somewhat organized anti-cult movement, including groups such as the International Cultic Studies Association (a newer organization that follows in the footsteps of earlier groups), that produced substantial amounts of literature. The Church of Satan, or the unintentional worship of Satan via other “cults” generally, could naturally be subsumed within this framework. 2) Added to this was the actual existence and public visibility of an actual Church of Satan (founded by Magus Anton Szandor LaVey in about 1966 but especially visible in the 1970s) , which claimed to be the continuation of the worldwide worship of Satan that had been going on since ancient times. 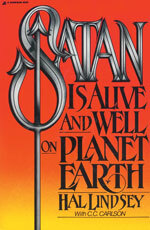 3) Within certain circles of Christian social workers or therapists who held the view that there was a Satanic conspiracy, certain methods developed (namely suggestive interrogation) which resulted in a high number of cases where children and adults reported or confessed to involvement in Satanic rituals, often as victims. In some cases, the results of such approaches regarding stories of Satanic abuse were published in popularizing books, including Lawrence Pazder’s Michelle Remembers of 1980. “group cult ceremonies in which children engage in sexual acts with adults and other children; the sacrifice and mutilation of animals; threats related to magical or supernatural powers; ingestion of drugs, ‘magic potions,’ blood, and human excrement; and distortion of traditional belief systems” (Susan J. Kelley as cited by Frankfurter, “Ritual as Accusation and Atrocity: Satanic Ritual Abuse, Gnostic Libertinism, and Primal Murders,” History of Religions 40 , p. 356). “Such abuse may include the actual or simulated killing or mutilation of an animal, the actual or simulated killing or mutilation of a person, forced ingestion of real or simulated human body fluids, excrement or flesh, [and] forced sexual activity” (Noblitt and Perskin as cited by Frankfurter, p. 357). The fact that this was indeed a conspiracy theory arising out of certain peoples’ worldviews and not reality is now widely recognized. What is particularly interesting is the manner in which stereotypes of the dangerous “other” which have a very long history — including the trio of human sacrifice, cannibalism, and sexual perversion — play a key role in this incident as well. Back in Roman times, for instance, the early Christians were accused by outsiders of engaging in precisely these three activities, as were other marginalized or foreign groups in antiquity (on which see my earlier posts here and here). Similar dynamics of marginalization and demonization were also at work in the late medieval and early modern witch hunts. The one whose little path would make me sad, whose power is fake/Satan. Many other bands were likewise accused of broadcasting the messages of Satan to the impressionable ears of our youth. The fact is that, if you want to find it, a word that sounds like “Satan” would appear in just about any music played backwards. But soon the idea of putting hidden, backward messages on albums was consciously taken on, particularly in the case of heavy metal bands of the 1980s, who seemed to think that Satan, with his number 666, was “cool”. Is there another Satanic scare on the horizon? Categories: Ancient ethnography and paradoxography, History of Satan, Music, Religion and popular culture. March 23, 2006 . Hello, I found your blog searching on info relating to biblical archaeology. Very interesting article. I recall a heightened fear of satanism during the 1980s, including high profile crime cases in which murderers and rapists claimed to be under demonic influence, and others in which crimes were blamed on satanic groups. I can’t think of any specifics at the moment, though, most recently of course this claim was put forth by Scott Peterson’s defense team at one point. Do you think the popularity of Frank Peretti’s books (This Present Darkness, et al) played into the hysteria at the time? You rightly point out the role of therapists in creating the panic – the most notorious being the late psychiatrist Lawrence Pazder, who went so far as to persuade his patient-informer Michelle Smith to leave her husband and marry him. But Pazder’s book “Michelle Remembers” was just one in a whole genre of Christian “Satanic survivor” paperbacks. Let us not forget Mike Warnke, Lauren Stratford (championed by Hal Lindsey), Audrey Harper and the rest of the hysteria-mongering crowd. Many years ago, my junior high school had a booksale. Now, I’m not dyslexic, but some trick of the eye made me laugh out loud and buy the unknown-to-me Hal Lindsey’s book, thinking I was purchasing “Santa Is Alive and Well on Planet Earth”! I still remember that disappointment…. (KP International) A man aroused suspicion from a taxi driver taking him to the Durham Tees Valley Airport in northern England after the man requested the driver play music that sparked terrorism fear. Harraj Mann was headed for the airport to catch his flight to London, when he asked to listen to The Clash’s punk anthem ‘London Calling’ and began singing along. Some of the lyrics from the song, including “War is declared and battle come down,” along with Mann’s demeanor made the driver apprehensive so he notified police who arrested Mann while he was on the plane. (Mann also reportedly sang along to Zeppelin’s ‘Immigrant Song’ that includes the line “The hammer of the gods will drive out ships to new lands, to fight the horde, singing and crying: Valhalla, I am coming”). Mann was escorted from the plane, had his luggage searched and was put through rigorous questioning. After a thorough check under the Terrorism Act, Mann was released, but his plane had already taken off. “Safety is paramount and we respond to concerns from members of the public in the way they would expect us to,” said a spokesperson for the Durham police. Phil, you might find this interesting … and even relevant.